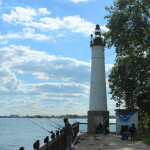 We recently featured a list of 12 things to see and do on Detroit’s Belle Isle Park, an island that features many statues and tributes to Michigan’s soldiers. 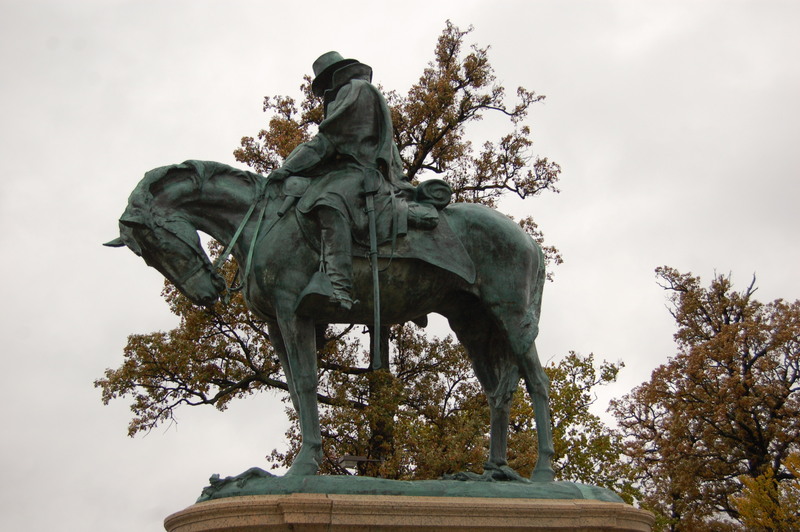 One of the most prominent statues is one that honors Alpheus Starkey Williams, who served as a Union general in the Civil War. 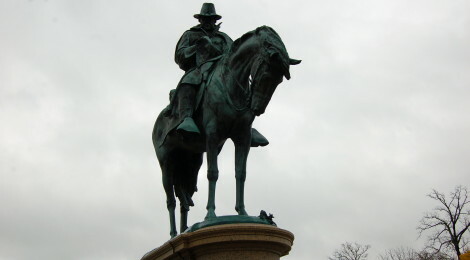 The statue depicts Williams and his trademark mustache riding his horse “Plug Ugly” and reading a map. 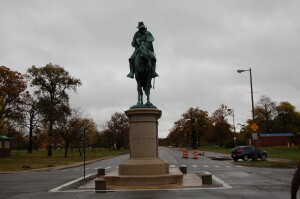 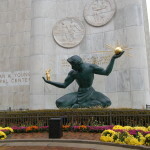 Sculpted by Henry Merwin Shrady and unveiled in 1921, it is a bronze statue that sits atop a marble base at the intersection of Inselruhe Ave. and Central Ave.
Williams was born in Connecticut but moved to Detroit in 1836. 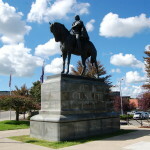 His Yale law degree opened the door for his many careers, which included probate judge, bank president, newspaper owner and editor, and postmaster. 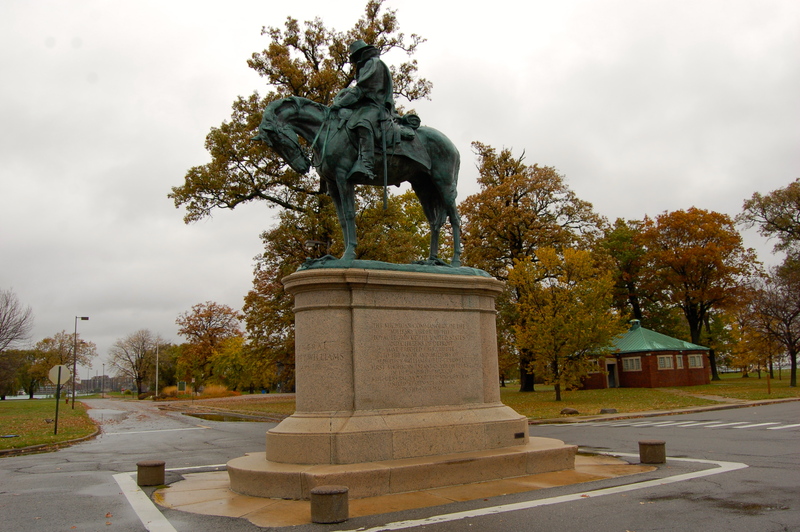 He was appointed lieutenant colonel of the 1st Michigan Infantry that arrive to the Mexican-American War too late to see action, and was later called upon as a general for the Civil War. 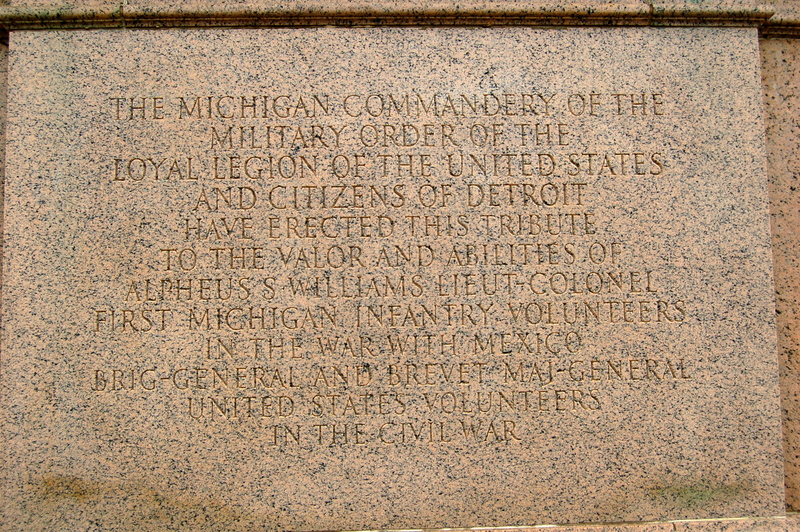 After the war Williams served at several military posts before unsuccessfully running for governor of Michigan. 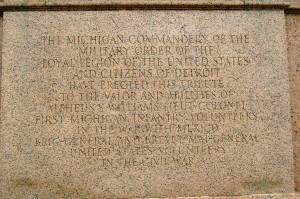 He was elected to Congress representing Michigan’s 1st district, a post he served at from 1845 until his death three years later. 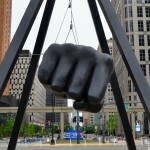 There may be many monuments and statues on Belle Isle, but this one is one of the biggest and most prominent.